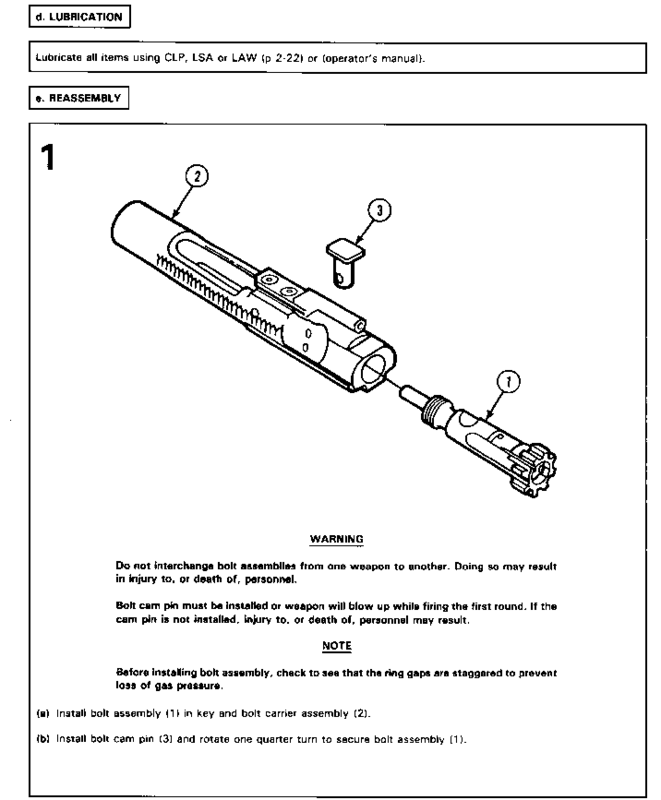 Extreme care must be exercised during the following procedure to assure that the striking force is not directed to the attaching screws and that the tube portion is not enlarged or flared beyond original requirement. Such enlargement would permit loss of gas pressure when the key and gas tube come together during function/operation. 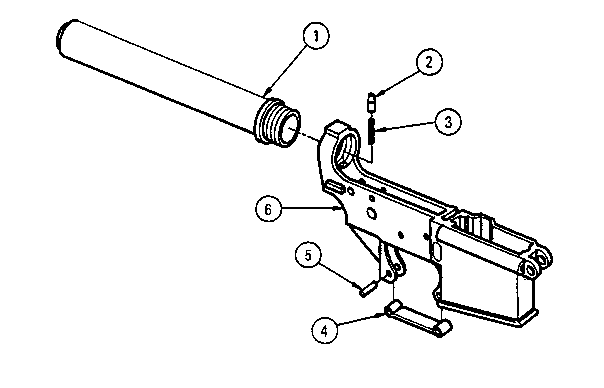 (a) Place the key and bolt carrier assembly (6) in a vertical position, supported in a manner that contact is made with the rear surface of the carrier key (1). 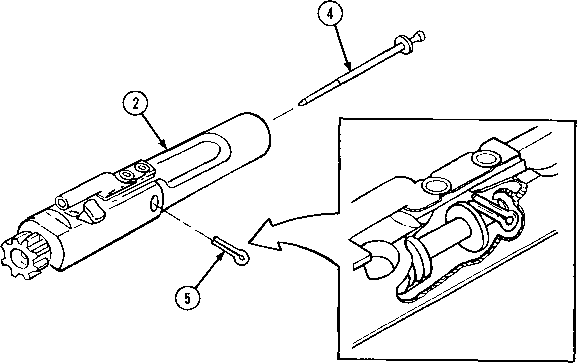 (b) Insert the small end of the key tool (8) into the tube portion of the key. (c) Strike the large end of the key tool (8) lightly with a 3-ounce, soft-brass hammer. (d) Repeat striking (gently) until carrier key (1) is reformed to original configuration. (e) If carrier key cannot be reformed to original configuration, evacuate to direct support maintenance.